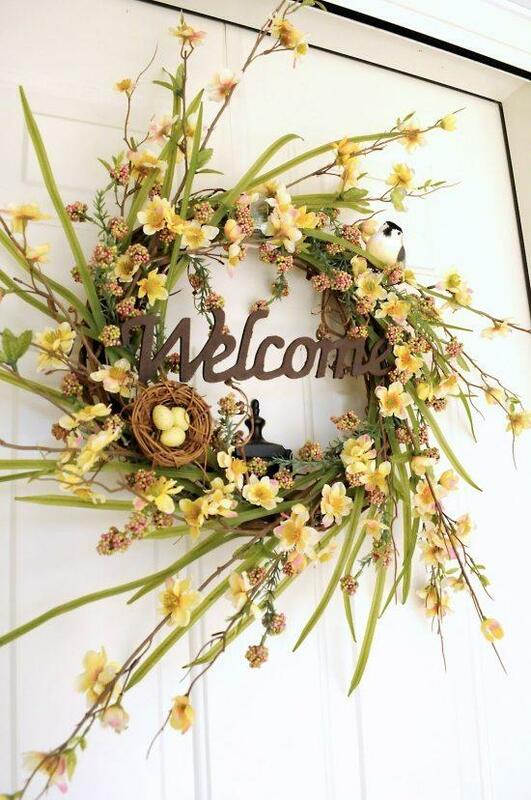 Easter wreaths on the front door welcome our guests before we do. 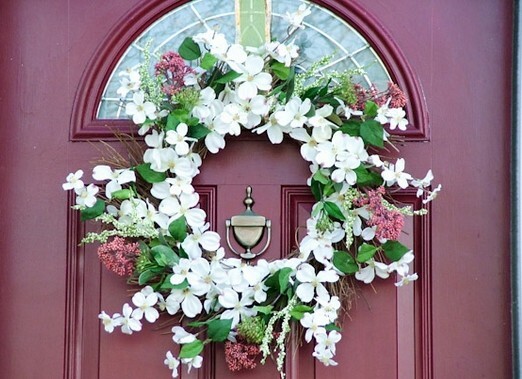 Therefore, we need to decorate our front door nicely not only to impress our friends and visitors but to give us a good mood every time we return to our home. 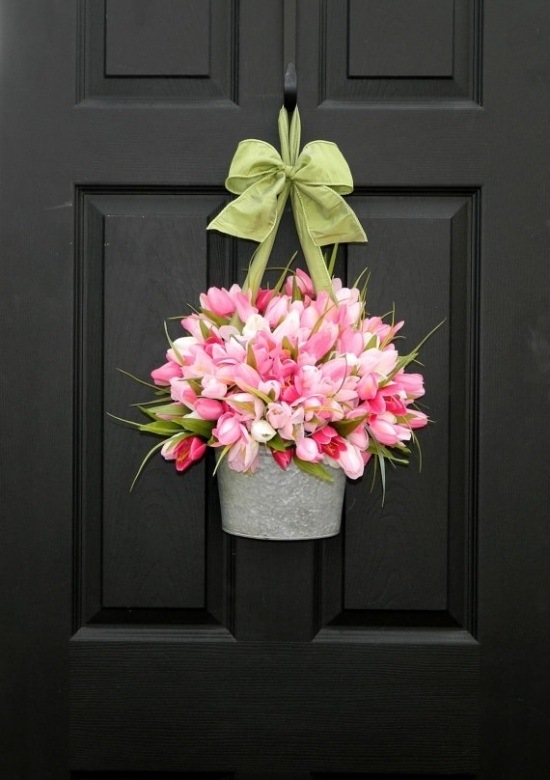 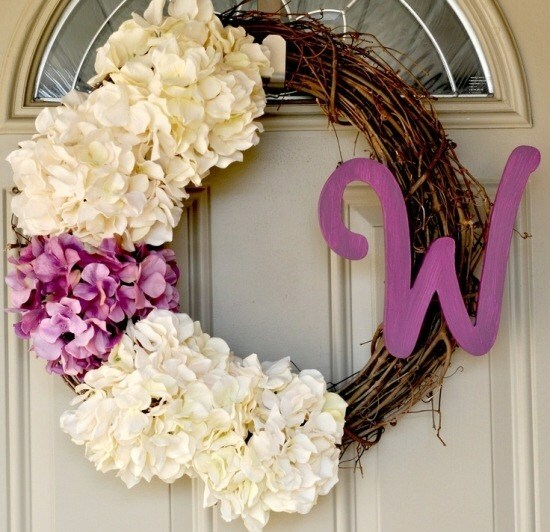 In this article we will give you some adorable spring decorating ideas with flowers. 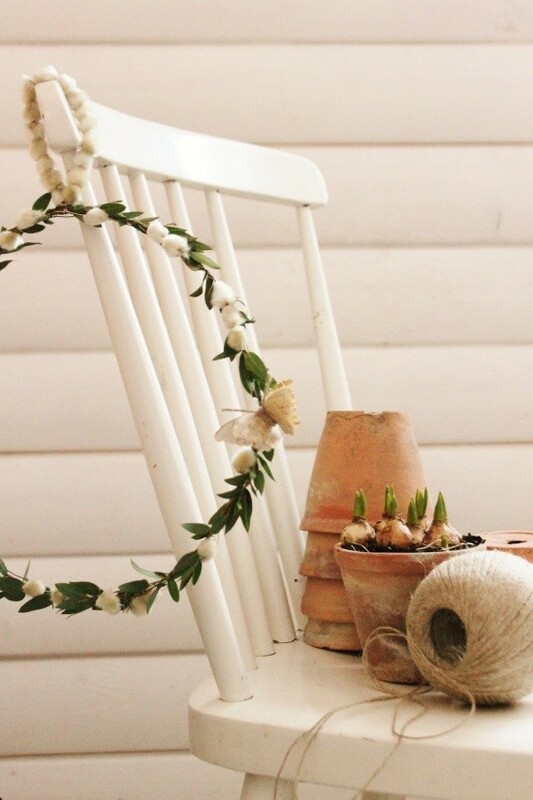 Check our beautiful photo gallery and get inspired by the beautiful and tender flowers. 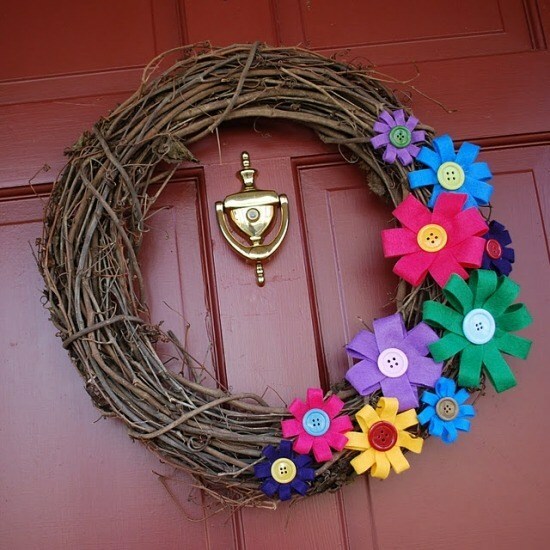 To make Easter wreaths with flowers you can use different materials. 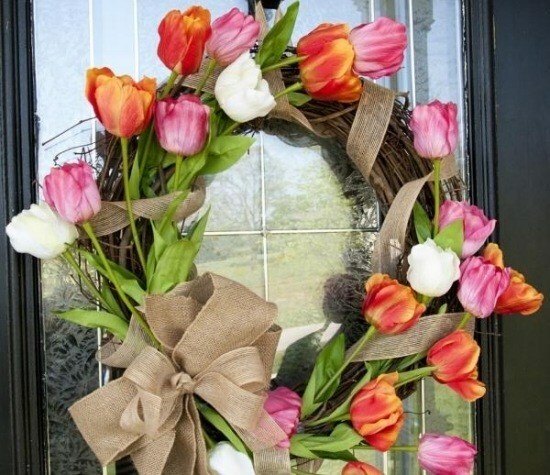 They are not much different form the ones that you use for Fall, Halloween or Christmas. 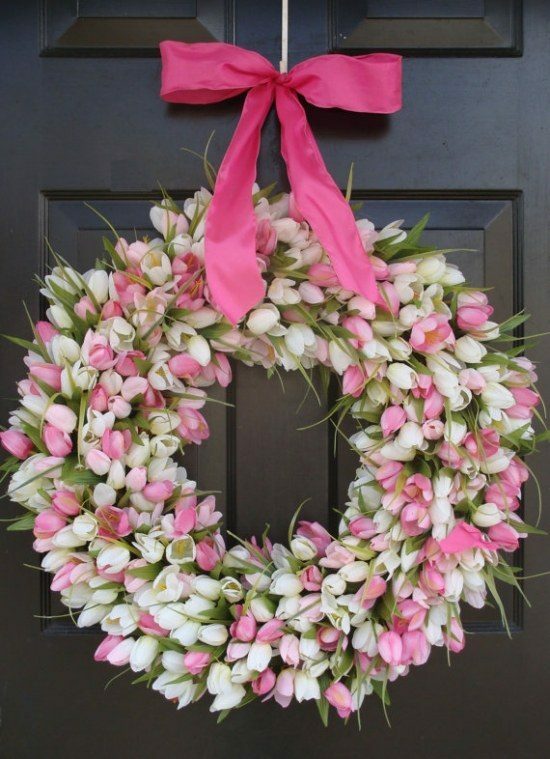 The first step before you start, it is the choice of colors. 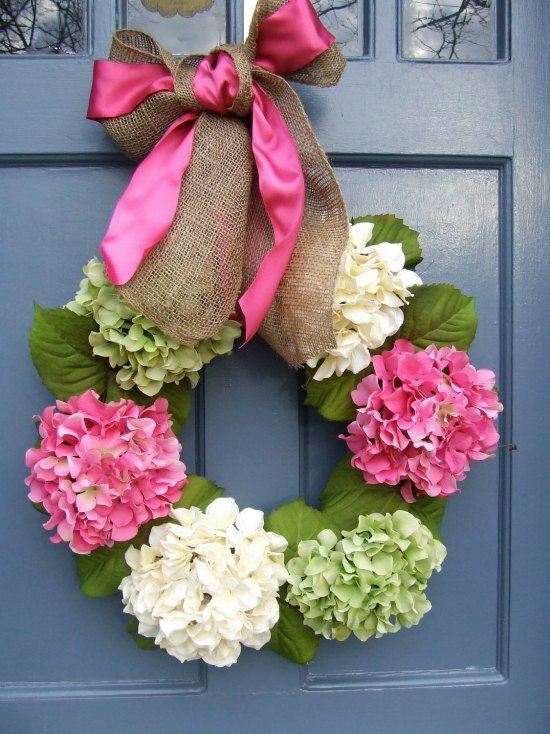 In the spring, the most beautiful colors are mint green, pink, purple, yellow and light blue. 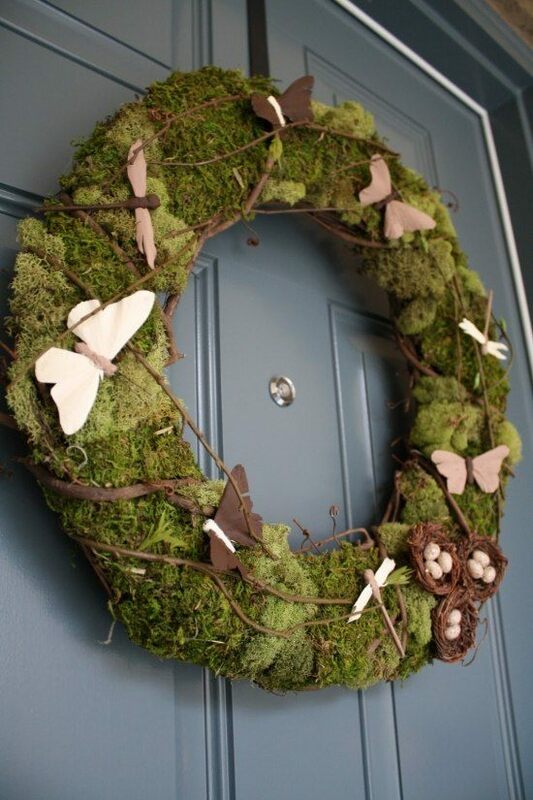 Do not forget the symbols of spring – flowers, butterflies, birds, ladybugs, bees etc. 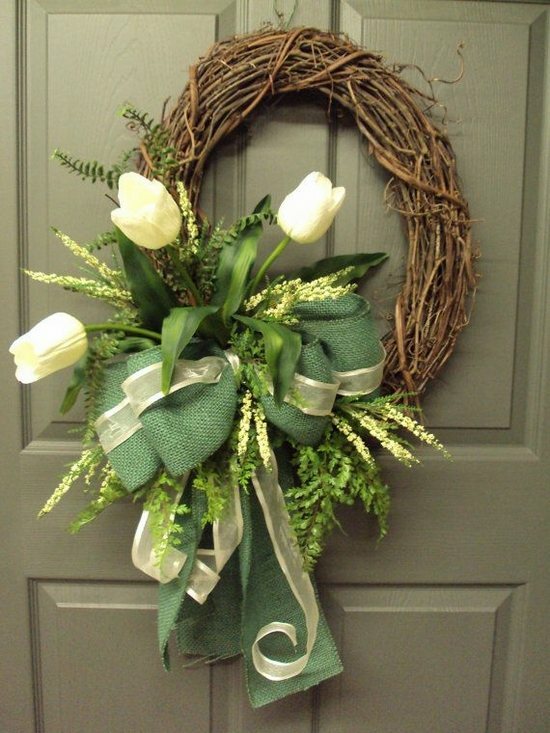 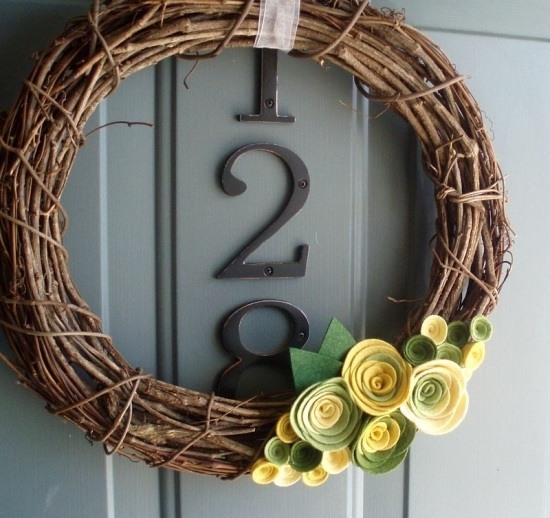 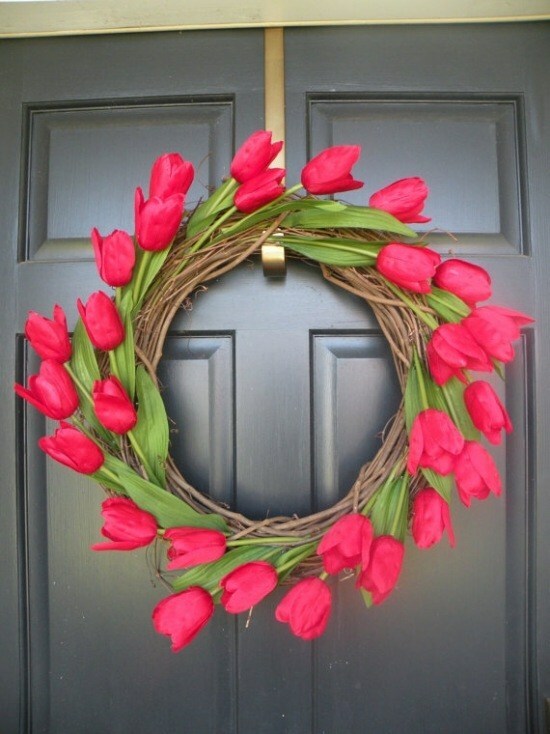 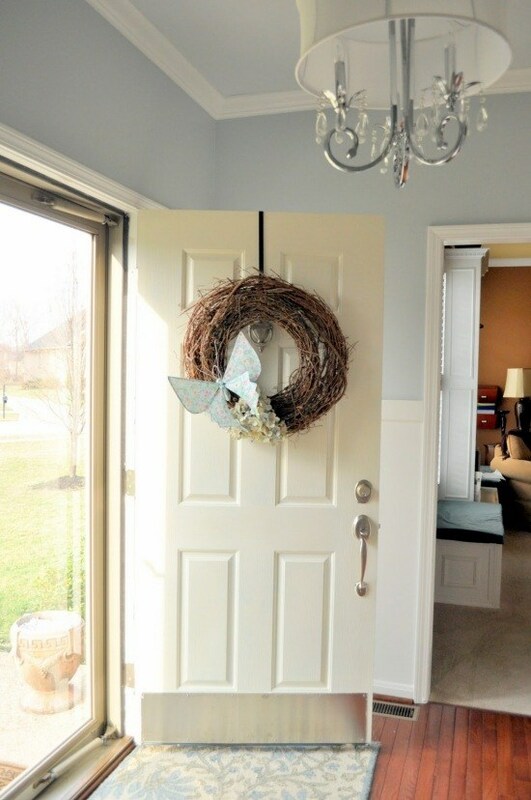 After choosing the color scheme and key elements, you can craft your door wreath. 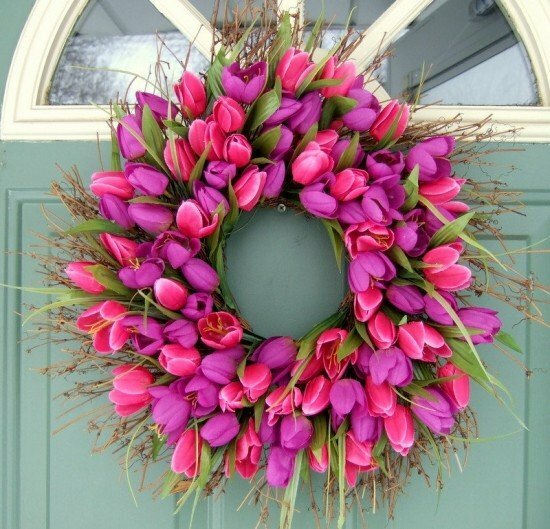 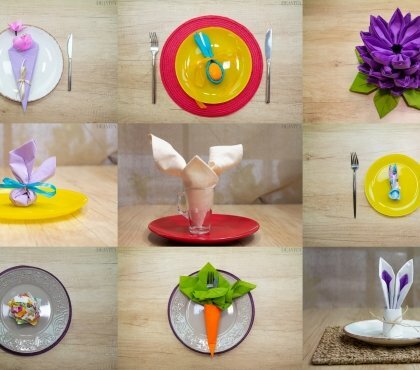 You can decorate it with fresh or artificial flowers, such as tulips, hyacinths, daffodils, lilies etc. 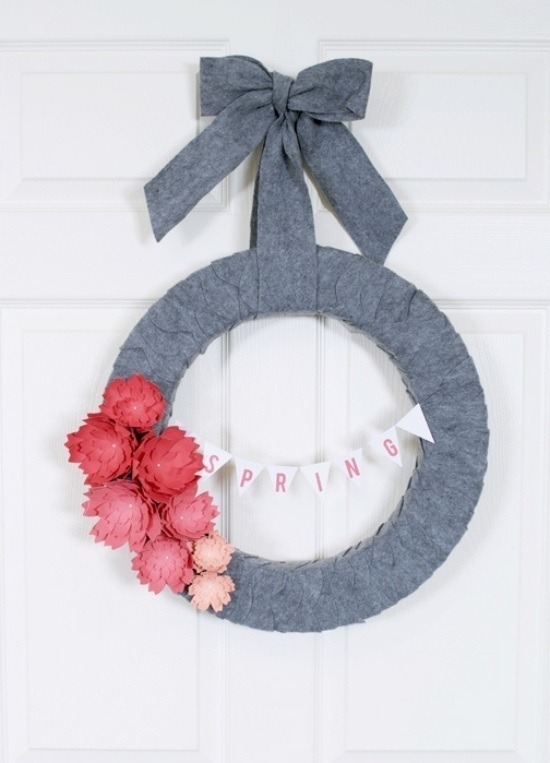 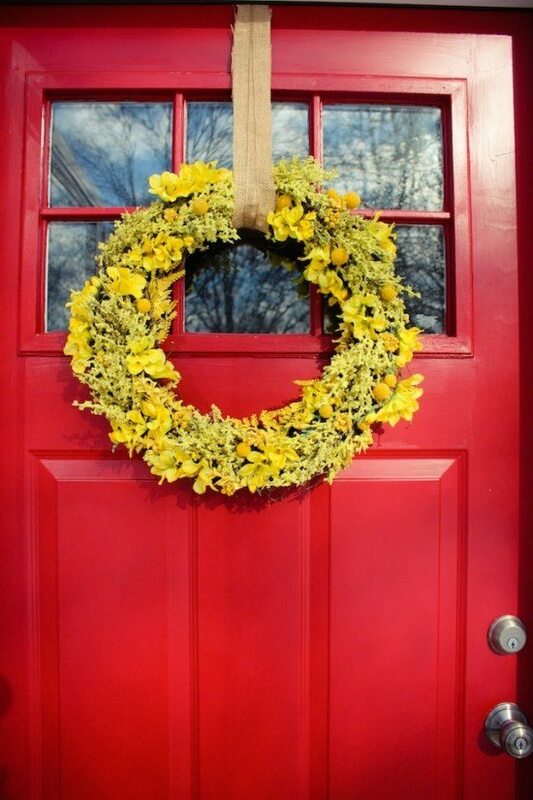 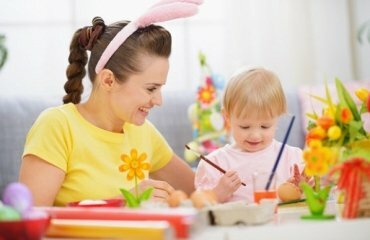 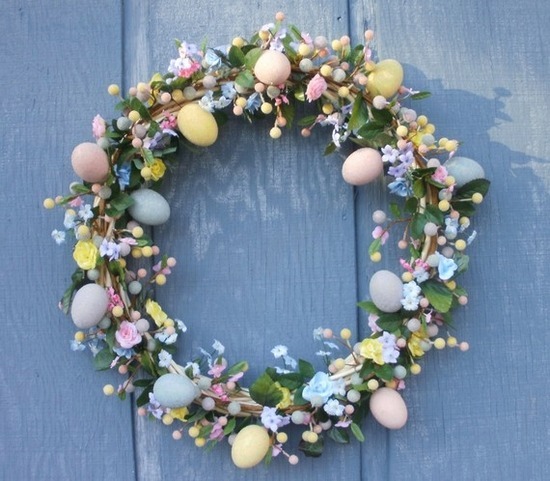 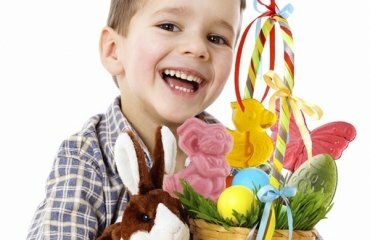 After you have chosen your preferred Easter wreath model, start crafting it by tying the branches in a circle. 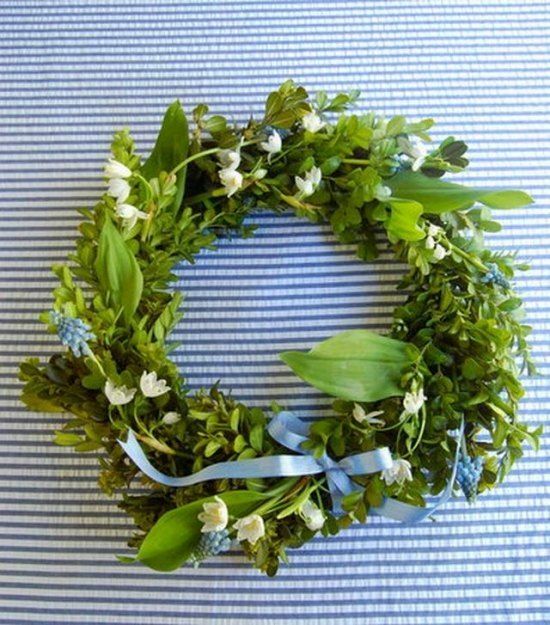 In this way the wreath will be more stable and for extra stability, you could stick the branches or bind them with a ribbon. 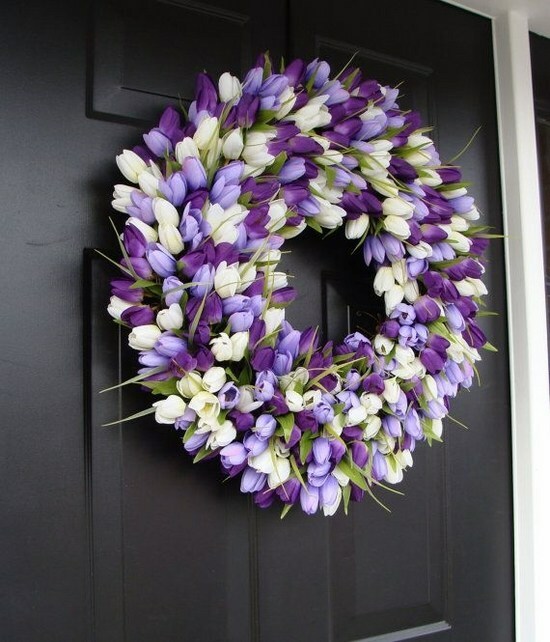 Then you can decorate it with flowers. 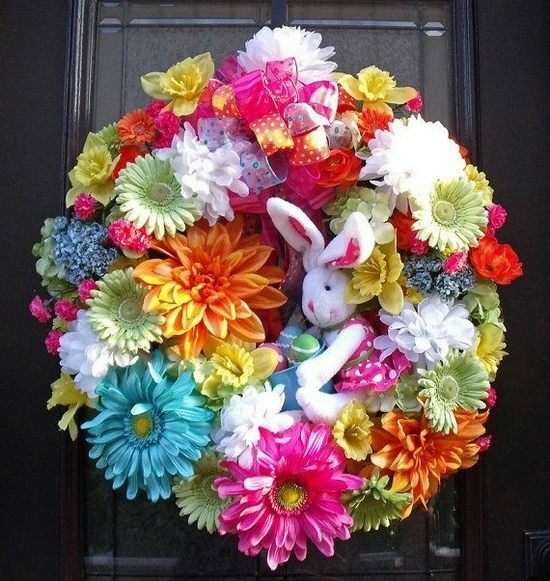 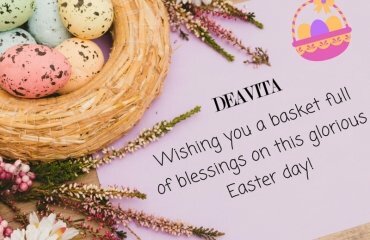 Ribbons and flowers always look great together, especially when we talk about Easter wreaths, so do not be afraid to combine them. 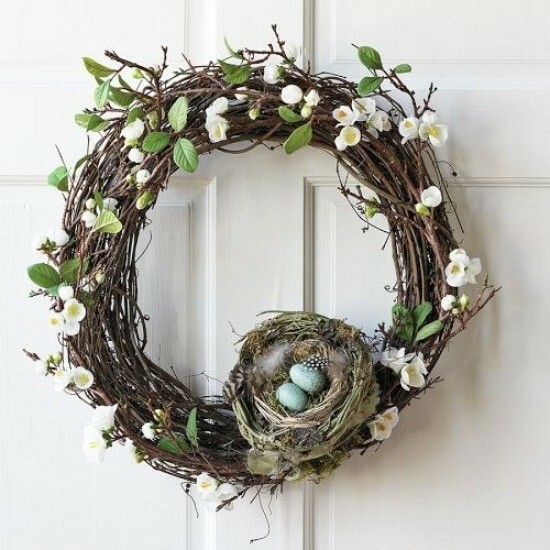 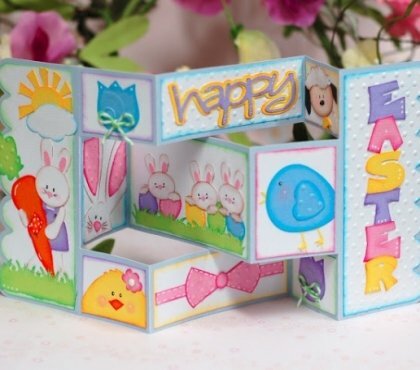 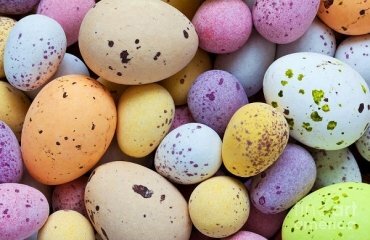 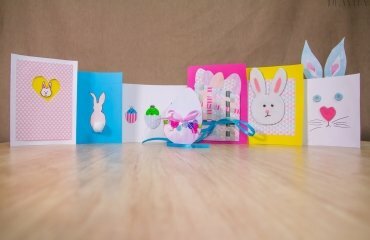 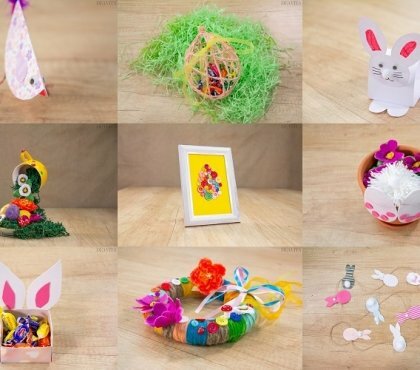 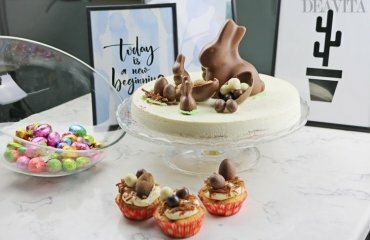 A small decorative nest is also a wonderful idea as well as a bunny or a butterfly. 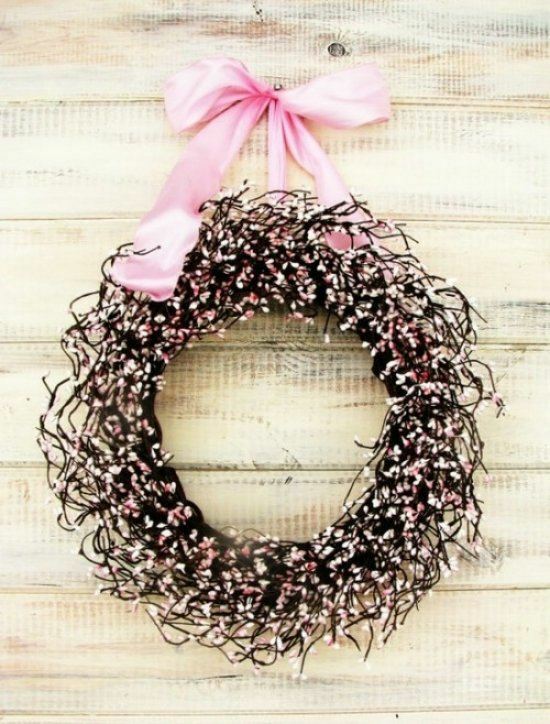 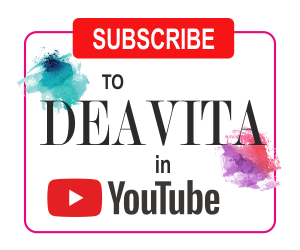 You can also learn how to make a deco mesh wreath which is one of the most popular DIY decorating ideas.